Depending upon the preferences and security concerns, the backup measures differ for various enterprises. While some prefer the cloud backup solutions, others go with the speed of the local storage modes. And those who want it all, usually opt a hybrid strategy. So, basically there is everything for everyone, it just the requirement that matters. Let us browse through the fundamental advantages of both the cloud backup services and local PC backup solutions such as hard disk drives (HDDs) and Network-attached Storage (NAS) via this post and opt the one which suits your requirement. Many of us use various cloud storage services to protect our files, which is not true at all. Cloud storage services and Cloud backup solutions are totally different aspects of cloud Infrastructure. Understanding the differences between them helps you secure your data proactively. 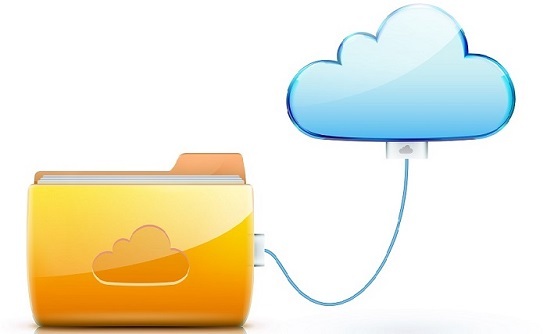 Cloud storage services force the database administrators to move their content into a cloud-connected sync folder, whereas cloud backup services let you store the files without moving the content around on the hard drive. The exact file system structure of the device can be retrieved precisely from the cloud using cloud backup services. Any mode of storage other than clouds does not guarantees to last forever. Computers are very delicate machines that can get damaged from overheating, water, even after taking good care of them. A normal wear and tear on the system’s drive could cause a great damage and eventually leads to the system failure leaving you behind with no trace of saved data at all. However, this is not in the case of Cloud Backup Solutions as it allows the user to recover their data less than the cost of their subscription regardless of the severity of the disaster. When a user stores their file over the cloud, the files are actually getting stored on a remote server. These servers are gain a hard drive that stores the data. So a good cloud backup provider goes an extra mile just to assure the security of user data by practicing data security measures. Hardened Data Centers: A hardened data center refers to the one built to withstand natural disasters and damages, such as earthquakes, fire or even man-made disasters like terrorist attacks and wars. To survive these calamities, the hardened data centers are climate controlled and avail both the battery and on-site backup facilities. They are scanned and monitored with the best of technologies, round the clock. Redundant Data Storage: Cloud Backup solutions provider incorporate RAID technology into their storage infrastructure to protect the data servers from any sort of damage. 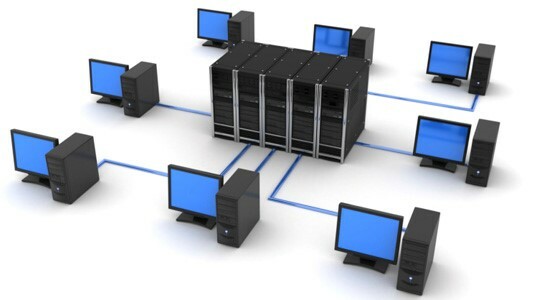 A RAID setup splits the stored data into the block and spread them among different disk drives. Again, there are various copies of data is made on these disk drives of each respective block. Thus preventing the data from loss if a single disk failure occurs. Data Management Tools: a competent cloud storage and backup provider avails various data management tools that help the customers to keep a track of their data security. These tools update the files and folders of the system either manually or automatically and generate report respective to their security concerns. Some of the desktop tools initiate hard-drive recovery. Local backup is an alternative to online backup where the user stores the data using local storage media, such as hard disk drives, network-attached storage, flash drives or external hard drives. One of the primary advantages of local backup is accessibility and speed. To pull a content from remote servers now you do not have to wait days after the occurrence of unforeseen events. Most of the local backups comes with a USB 3.0 connectivity, which is enough to support up to 5 GB per second speed. The cost of local storage is flexible and depends on the type of device chosen by the user. External HD: Most of the people prefer external hard drives as they are portable and store up to 5 TB of data which accommodate a lot of work. These storage allow more storage at a very affordable cost, but the only backdrop is they operate on a single disk and this ultimately leaves them vulnerable to a great extent. Network-attached storage (NAS): NAS allows multiple local devices to connect wirelessly. It offers the users the choice of USB connectivity to speed up the larger backup and restore options. It lets the user create their own personal cloud backup center and manage data backups and restoration with relative ease. Although both the backup practices come with different flavors, they are responsible to handle and manage the customer’s data with the same level of accuracy and security. Depending upon the requirement users can choose which suits their enterprise the best. If you are also looking for the best cloud backup solutions and local storage solutions for your enterprise regardless of the size of your database, you can contact i2k2 Networks, a pioneer in Disaster & Data Backup Recovery services in the industry from last 20 years, located at Noida. We understand the importance of your business-critical data and offer you with the cost-effective and easiest way to secure your data. Contact our IT experts at +91-120-466-3031 | +91-971-177-4040 or can even mail us at sales@i2k2.com to share your requirements.